July 12, 2016 (Paso Robles, California)– As a child working the 740-acre vineyard planted in Atascadero by his grandfather, David Parrish knew he wanted a life among the rolling vine rows of wine country. “It was quite an exciting time. None of us knew we were making history. We were just going for it and working our tails off,” says Parrish. Thank you Chris Kern for featuring our 2013 Sauvignon Blanc in a blind tasting! This was fun to watch with the guest tasters being “blind” and our wine featured. I can’t really describe the feeling as I felt slightly nervous and intrigued to see what the tasters would say. I won’t say much more as I’ll let you watch the results, but I will say that this encourages one to do this at home. We have been doing blind tastings as a team and it is educational as well as a blast. All you need is glasses, paper bag, numbers/sharpie if you have more than one wine, wine (of course), paper/pen, and voila…you’ve got Friday night planned. Our 2013 Sauvignon Blanc is definitely a favorite among guests and is perfect for the sunny season. We are thrilled to be harvesting our first Sauvignon Blanc this year for the 2016 vintage! So, the Sauvignon Blanc will soon be estate. The 2013 is available in our tasting room, website, and pasobestwines.com (which I recommend checking out for more videos and wines). For the 1st time, we’re going to have our doors open for 4th of July since it’s on a Saturday this year! 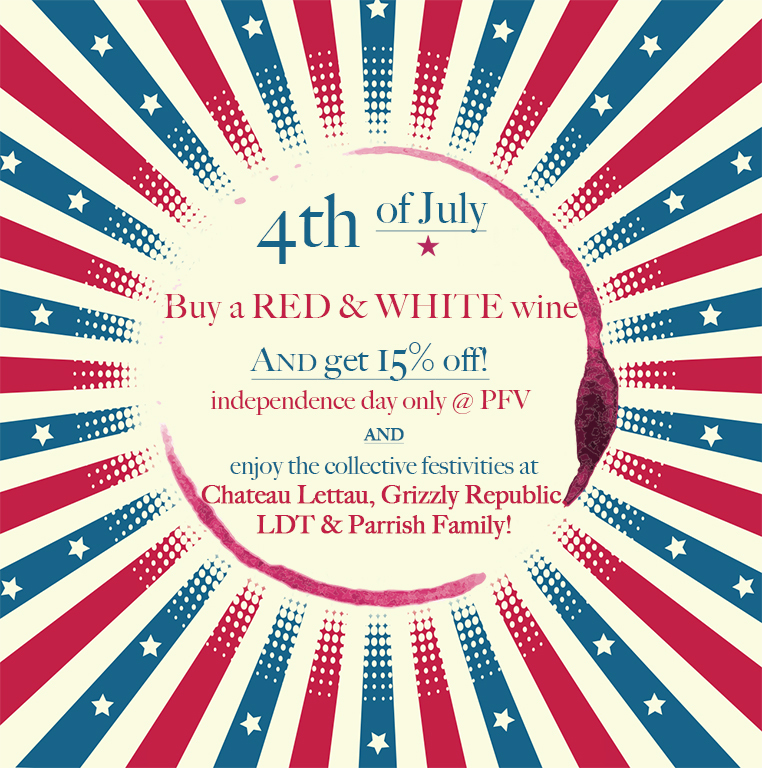 Join us as we’ll have a Red & White Special…buy 1 Red and 1 White wine and receive 15% off in celebration of our independence! Also, we will be having fun festivities with our friends of Chateau Lettau Winery, Grizzly Republic Wines, and Lusso Della Terra. Serving up yummy American bites and other specials like live music and games.